Coarse-Grained Reconfigurable Architectures (CGRAs) provide more opportunities for accelerating data-intensive applications, such as multi-media programs. However, the optimization of critical loops is still challenging issues, since there is lack of application mapping tool of CGRAs. To address this challenge, we first take program feature analysis on the kernel loops of applications. And then we propose a novel graph model called PIA-CDTG containing these features. We implement an efficient task mapping method with a genetic algorithm based on the graph model. 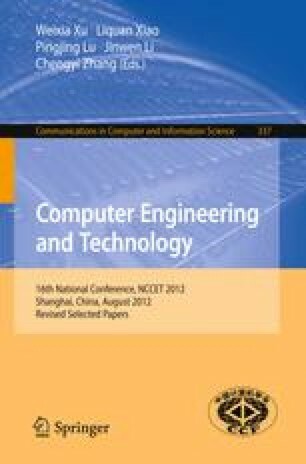 Experimental results show that the mapping method with PIA-CDTG is more effective than other features-unaware methods, and make the execution attains high efficiency and availability.